The 70CH Tandem Axle Car Hauler from Big Tex Trailers is built to work tough and look great doing it with a fold-back tongue and teardrop fenders. 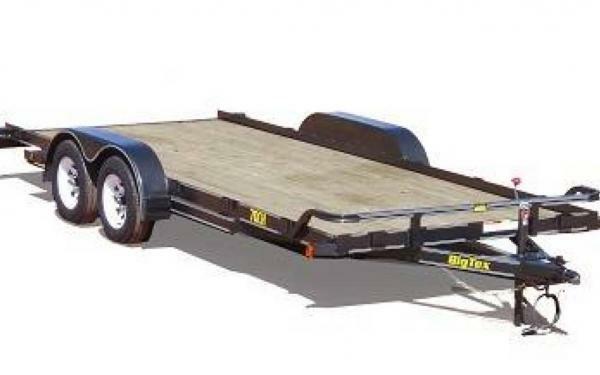 This versatile trailer can be used for autos, small tractors, ATVs, side-by-sides, and numerous other applications. Working towards earning your customer satisfaction and providing prompt service White River Trailers is supplying customers with more than just trailers. With our trailer financing from Sheffield Financial, our customers in its surrounding areas will find the funding solution they are searching for.